WILKIE, DANIEL, teacher, author, Presbyterian clergyman, and newspaperman; b. c. 1777 in Tollcross or Bothwell, Scotland, youngest son of James Wilkie, a farmer; m. 1 Nov. 1805 at Quebec Margaret Lawson, and they had five children; d. there 10 May 1851. Apparently orphaned at an early age, Daniel Wilkie was enabled, by the pooling of his brothers’ slim resources, to begin grammar school in Hamilton, Scotland, in 1789. Five years later he entered the University of Glasgow. He undertook divinity studies, possibly in 1797, and supported the moderate party of the Church of Scotland, which sought to reconcile Enlightenment rationalism and secularism with Christian belief [see Alexander Spark*]. A fellow divinity student called him a “Deist that does not abjure the bible” and observed that he was “of a temper curious and inquisitive, restless & turbulent, that would be free of all doubts, and understand the very nature of things.” Wilkie rejoiced in intellectual confrontation and theological controversy. At the same time, his moderatism and Enlightenment tenets induced him to seek reconciliation and toleration in religious matters. His rationalism led him to defend Socinianism, and in 1803 he won a first prize, awarded by the university, for an essay on the Socinian controversy. He obtained his ma that year. Few careers except teaching and preaching were open to someone of his education. He refused connection with any church requiring subscription to articles of faith on the ground that it was an infringement on the right to private judgement. He had begun teaching by September 1800 but it paid poorly and, after a year in a Glasgow school and two more in the nearby parish school of Rutherglen, he decided in 1803 to try his fortune in British North America. A schoolmate, James Somerville*, had left a teaching position in a Quebec academy to fill the Presbyterian pulpit in Montreal, and Wilkie may have gone out to replace him with the hope of eventually acceding to a pulpit himself. He was soon operating his own academy in a school formerly kept by John Fraser*. By the winter of 1807 Wilkie was offering evening courses in geography (which in 1809 included “a particular account of the British American provinces”), grammar, composition, algebra, geometry, plane trigonometry, and mensuration. In providing evening classes in practical subjects for young working adults, Wilkie was keeping pace with, and possibly introducing to Quebec, a new trend in Scottish education. By 1809, as a means of publicizing the effectiveness of his teaching, he had begun public examinations of his students. Teaching directed Wilkie’s taste for philosophical discussion to education. In June or July 1810 he published A letter; most respectfully addressed to the Roman Catholic clergy and the seigniors of the province of Lower Canada: recommending the establishment of schools. In it he expressed many Enlightenment views on the subject of popular education. Deploring the extent of illiteracy in the colony and the lack of effort on the part of parishes to avail themselves of the education act passed by the assembly in 1801 [see Joseph Langley Mills*], he undertook “to combat the prejudices which have prevailed in this age against the instruction of the lower orders, and particularly those . . . against the instruction of the Canadians.” In the colony, as in Britain, many among the political and social élite feared that educating the masses would lead to revolution; Wilkie argued that education promoted stability because it eliminated the popular ignorance on which demagogues thrived and was the means by which the French Canadians and the British “may be blended into one people.” He felt the lower classes should possess “that knowledge which gives a man resources within himself . . . which enables him to employ his talents, to the greatest advantage for himself, his family, and his country.” The ignorance of the habitants, Wilkie asserted, also reinforced devotion to traditional farming technology and left them unaware of superior agricultural practices. Knowing that education of the masses required methods different from those employed for instructing the few children of the élite, Wilkie supported the Lancasterian system [see Joseph Lancaster*]. Although it did not sell well, A letter was a good advertisement for its author. Until 1810 Wilkie commanded £1 per quarter year for each student he taught, charged £25 a year for boarders, and sold to his students textbooks imported from Scotland; but the income provided by these revenues was modest and unstable. That year the school filled up, enabling Wilkie to double his teaching fees and increase his boarding rates to £32. About 1810 he also moved to a spacious house where he opened the Classical and Mathematical School. The following year he introduced the “representative system,” possibly an adaptation of the Lancasterian system. 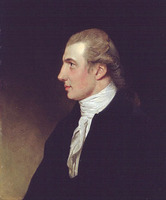 By 1815 he was offering a balanced curriculum of practical and classical subjects, adding writing, orthography, bookkeeping, navigation, Latin, Greek, philosophy, and elocution, which drew a clientele increasingly composed of the scions of prominent British and French Canadian inhabitants such as Jonathan Sewell*, Thomas Dunn*, John Neilson*, François Baby*, François Huot*, and Pierre Brehaut*, as well as of officers of the garrison. Yet, grave problems remained. Lack of financial support from the government, even though requested, obliged Wilkie to establish rates beyond the means of the mass of the population to whom he wished to extend education; by 1824 he was charging £3 a quarter for tuition in addition to the cost of texts, materials, and room and board. The social status of his “Quebec Bloods” created discipline problems. Many parents neglected to back up Wilkie’s efforts so that by 1824, although he had taught 30 to 60 students a year for nearly 20 years (about one-quarter of them French Canadians), he had graduated only 100 to 120 into various professions. Finally, his numerous changes of location from 1816 to 1818 would seem to reflect a persisting financial instability that saw him buying “a fine house” and “making a great deal of money” in 1815 and his school in a “reduced state” in 1820. Only Wilkie’s reputation appears to have been solid. In 1823–24 a committee of the House of Assembly summoned the leading educators of the city, Joseph-François Perrault*, Jean-Baptiste Corbin, Antoine Parant, Robert Raby Burrage*, Mills, and Wilkie, to dissect the educational situation in the colony. Like the others, Wilkie deplored the failure to broaden the dissemination of education. He continued to attribute the problem to the lack of parish schools, adding the insufficient training of teachers and the want of a university as other factors. 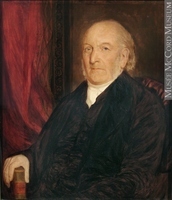 Although teaching had become Wilkie’s profession, he continued to search for a position ensconced “snugly in a Country-manse.” Probably before September 1804 he had been licensed by the Presbytery of Montreal, which undoubtedly included Somerville and Alexander Spark, Church of Scotland minister at Quebec, both of whom shared Wilkie’s moderate views. But there were no more openings for a Church of Scotland minister in Lower Canada. In 1810 Wilkie’s Letter, read in manuscript by Anglicans Richard Cartwright* and the Reverend John Stuart* in Upper Canada, so impressed them that Stuart urged the bishop of Quebec, Jacob Mountain*, to arrange for Wilkie’s appointment as schoolteacher and Anglican clergyman in Augusta Township, Upper Canada. Mountain agreed, but Wilkie refused. In 1812 he was again invited to join the Church of England in order to accept Mountain’s offer of the evening lectureship at the Cathedral of the Holy Trinity at Quebec. Wilkie felt that he could accept the Thirty-Nine Articles of the Anglican faith, but he feared that his conversion would mark him as a time-server. He refused the post. Apparently he also preferred to remain at Quebec, since in 1818 he turned down a call from the Presbyterians of Kingston. He assisted Spark at St Andrew’s Church, where he was chosen an elder in April 1818. He preached on occasion, with a moderate’s emphasis on morality rather than spirituality or theology, prompting a friend to remark ironically on the “moral-mathematical” composition of his sermons. When Spark died suddenly in 1819, Wilkie may have hoped to succeed him, but the congregation chose to call a minister licensed in Scotland. Wilkie provided interim duty until his arrival, donating the salary to Spark’s widow. No doubt Wilkie wished to remain at Quebec in part for its intellectual and cultural life, in which he took an active interest. He was an organizer of the ephemeral Quebec Philosophical Society in early 1812 and a subscriber to the Agriculture Society. He took particular interest in immigration. 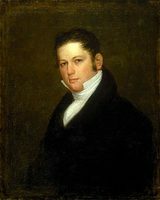 With Chief Justice Sewell and Anglican clergymen George Jehoshaphat Mountain* and Mills, he formed a public committee in December 1818 to consider the means of affording relief to distressed immigrants. When, as a result, the Quebec Emigrants’ Society was formed the following year, Wilkie was appointed to its governing committee. Emigrants were sent to his care by clerical acquaintances in Scotland, and in 1822 he returned from a trip to Scotland accompanied by 20 settlers. Wilkie had long harboured a latent interest in politics. It burst into the open on 5 Dec. 1827 when the first number of the Star and Commercial Advertiser/L’Étoile et journal de commerce, a bi-weekly, appeared; Wilkie was its proprietor and editor. Originally bilingual, it became an English newspaper after its first year of publication. Wilkie felt that the Lower Canadian press was so polarized between the Canadian and English parties that distortion and misrepresentation of facts made well-informed judgement by even the unbiased impossible, preventing the formation of an enlightened public opinion capable of restraining the excesses of both sides. He dedicated the Star to furnishing the facts and thus published full accounts of the debates in the House of Assembly and of decisions rendered by the courts. In addition he promised non-partisan analysis of public affairs within the framework of law, order, and the British connection and sought moderate approaches to controversial problems. Wilkie also used the Star to promote exploration, immigration, settlement of the Eastern Townships, agriculture, and commerce, as well as technological advances, especially the railway. He printed minutes and accounts of religious, social, and scientific organizations. An admirer of Perrault, Wilkie also published, in French, long extracts from his educational works. He himself wrote a series of articles on education that demonstrate evolution in his thinking. He recognized as chief hindrances to progress the extinction after the conquest of educational institutions such as the Jesuit college, the control of secular education by religious denominations, and, again, the lack of proper teacher training. 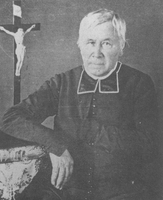 He denounced the Protestant perception of Catholicism as a promoter of ignorance and despotism, supported long-standing demands for the appropriation of the Jesuit estates to education, and urged the opening of schools and colleges to all without distinction of religion, which, he argued, ought to be taught by each denomination in Sunday schools. In 1822 he and James Thom had drafted the rules for the management of St Andrew’s Church Sunday School, founded shortly before. For reasons unknown, Wilkie sold the Star at the end of 1830; although the new proprietors had promised to continue it on his principles, they closed it down instead. He then became active in the Literary and Historical Society of Quebec, founded under the auspices of Governor Lord Dalhousie [Ramsay*] in 1824. 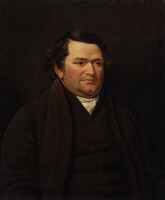 Wilkie was chairman of the science section in 1830, librarian for several years, and, in 1836, president. Throughout the 1830s and into the 1840s he presented numerous papers on education, the fine arts, literature, historical criticism, the Greek, English, and French languages, astronomy, fluvial systems, morals, and superstitions. Appropriately, it was in this period of intense intellectual production that Wilkie received an honorary lld from the University of Glasgow on 10 Nov. 1837. As well, he had been a founding member of the St Andrew’s Society of Quebec in October 1835. He served on the committee that drafted its constitution, was president of a school apparently operated by the society, and was chaplain to the organization. At St Andrew’s Church he was elected a trustee in 1835 and he served as chairman of several committees, including one in 1837 to establish a congregational library. For some time after 1828 he preached on alternate months at Valcartier; by then, however, the ministry was no longer a goal because Wilkie had found prosperity as a teacher. He had been residing at the same location on Rue des Jardins for 17 years when, in 1835, he bought three contiguous lots and two houses next to his own for £910; the following year he built a two-storey stone house on the vacant lot. These transactions left him £800 in debt to John Neilson, but Wilkie’s income enabled him to pay it off within three years. To what degree Daniel Wilkie influenced the extension of elementary education in Lower Canada will never be determined clearly. However, one must not neglect his influence on the thought of his friend John Neilson and on a whole generation of the Quebec élite, for, if Wilkie fought for the education of the masses, he ensured that of many of the colony’s future leaders, French Canadian and British. A list of his students is the most eloquent measure of his contribution, for it includes Neilson’s son Samuel*, Dr Joseph Morrin*, Alexander Buchanan, Charles Harper, William Foster Coffin*, Henry Black*, Robert-Shore-Milnes Bouchette*, Thomas Cushing Aylwin*, George-Paschal Desbarats*, and Jean-Charles Chapais*. In Wilkie’s honour a number of these men raised an impressive monument of imported Aberdeen granite in Mount Hermon Cemetery. Daniel Wilkie is the author of A letter; most respectfully addressed to the Roman Catholic clergy and the seigniors of the province of Lower Canada: recommending the establishment of schools (Quebec, 1810), which has been republished in large part in Confrontations: choix de textes sur des problèmes politiques, économiques et sociaux du Bas-Canada (1806–1810), ed. J. [E.] Hare and J.-P. Wallot (Trois-Rivières, Qué., 1970), 187–200, and of a number of unsigned articles in his Star and Commercial Advertiser/L’Étoile et journal de commerce (Quebec), 1827–30. 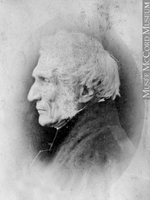 He also published “On length and space,” “The theory of parallel lines, being an attempt to demonstrate the twelfth axiom of Euclid,” “A few observations, on the importance of aiming at the establishment of some general system of education, in Canada, at this time, 1841,” and “An oration, delivered before the Literary and Historical Society of Quebec, at the anniversary prize meeting, May 3, adjourned from April 27th 1827,” in the Literary and Hist. Soc. of Quebec, Trans. (Quebec), 2 (1830–31): 64–76; 3 (1832–37): 72–82; 4 (1843–60): 16–24; and 4 (1843–60): 387–98 respectively. The Daniel Wilkie papers at MTL, consisting of incoming correspondence, provides a great deal of information on Wilkie. A portrait of him hangs in the entrance to the Literary and Historical Society building at Quebec. ANQ-Q, CN1-49, 6 août 1829; 12 juill. 1836; 28 févr., 2, 20 mars 1837; 2 mai, 3 déc. 1838; 3 févr. 1841; 29 juin, 3 déc. 1842; 2 févr., 1er avril, 17 août 1844; 7 févr. 1848; CN1-116, 17 oct. 1835, sept. 1836, 21 sept. 1838, 12 avril 1844; CN1-178, 30 mai 1811; CN1-209, 22 mars 1831; CN1-285, 29 janv. 1805. St Andrew’s Presbyterian Church (Quebec), Corr. on education, 9 Jan. 1829; Kirk session minute-book, 1822–37; Reg. of baptisms, marriages, and burials, 1 Nov. 1805, 10 Aug. 1806, 24 Aug. 1808, 3 March 1809, 17 Aug. 1810, 25 Dec. 1814, 15 Jan. 1820, 13 May 1851; Reg. of corr. and session minutes; St Andrew’s Society minute-book. Quebec Gazette, 16 April, 2 July, 19 Nov. 1807; 15 Dec. 1808; 17 Aug. 1809; 12 July, 20 Dec. 1810; 21 May, 17 Dec. 1812; 15 April, 30 Dec. 1813; 25 May, 24 Aug., 28 Dec. 1815; 26 Sept. 1816; 30 Jan., 2 Oct. 1817; 29 Jan., 12 March, 7 Dec. 1818; 15 July, 2, 5 Aug. 1819; 20 Jan. 1820; 9 Aug. 1821; 14 Oct. 1822; 17 Nov., 22 Dec. 1823; 15 Jan., 1 March 1824. Beaulieu et Hamelin, La presse québécoise, 1: 62–63. J. [E.] Hare et J.-P. Wallot, Les imprimés dans le Bas-Canada, 1801–1840, bibliographie analytique (Montréal, 1967). Index of the lectures, papers and historical documents published by the Literary and Historical Society of Quebec . . . , comp. F. C. Wurtele and J. C. Strachan (Quebec, 1927). Morgan, Sketches of celebrated Canadians. Scott et al., Fasti ecclesiœ scoticanœ, vol.2. L.-P. Audet, Le système scolaire. The centenary volume of the Literary and Historical Society of Quebec, 1824–1924, ed. Henry Ievers (Quebec, 1924). A. C. Chitnis, The Scottish enlightenment: a social history (London, 1976). Gregg, Hist. of Presbyterian Church. 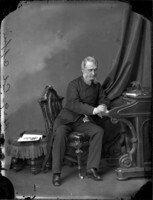 “The late Daniel Wilkie, L.L.D.,” Presbyterian, 9 (1856): 20. “The late Rev. 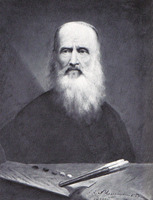 Daniel Wilkie, L.L.D.,” Presbyterian, 4 (1851): 97–98. P.-G. Roy, “La famille Wilkie,” BRH, 42 (1936): 58–60. James H. Lambert, “WILKIE, DANIEL,” in Dictionary of Canadian Biography, vol. 8, University of Toronto/Université Laval, 2003–, accessed April 22, 2019, http://www.biographi.ca/en/bio/wilkie_daniel_8E.html.